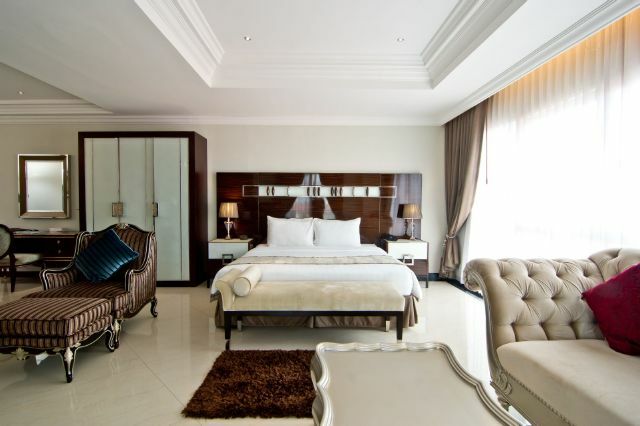 LK Royal Suite comes with great breakfast and a nice buffet selection. 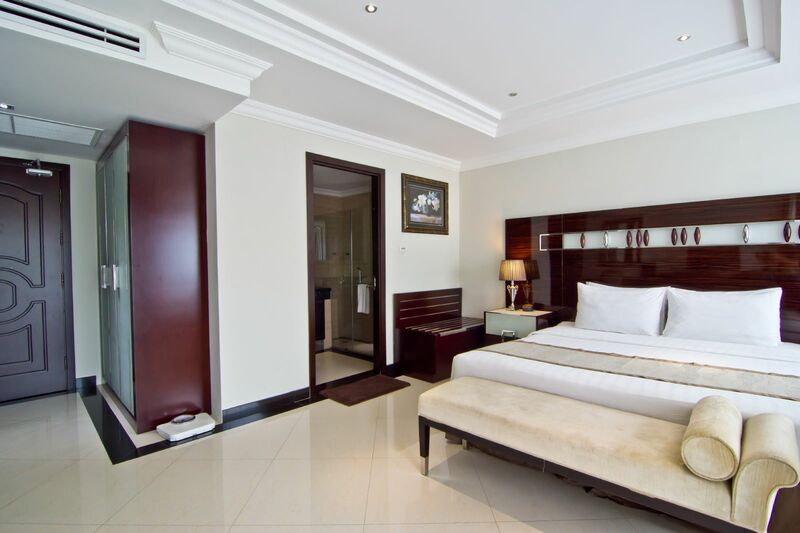 Large rooms with fantastic amenities like large shower, comfortable bed, fridge, well-sized TV and storage makes it a fine accommodation to choose. 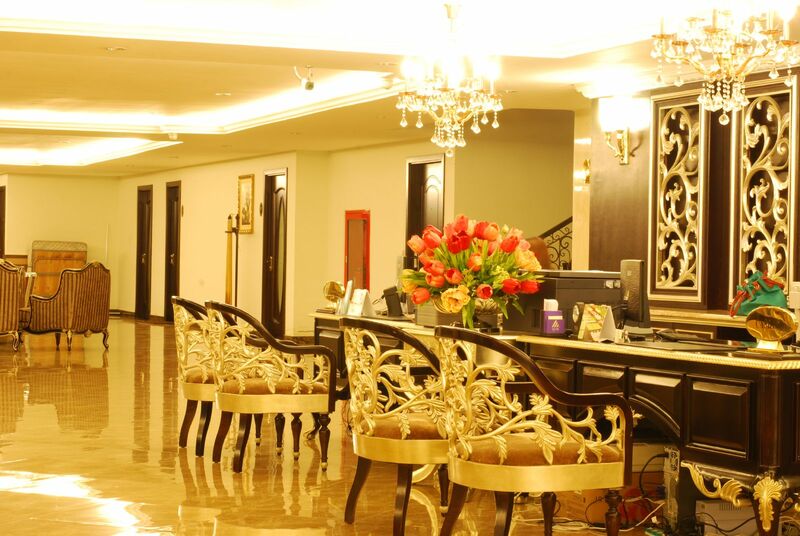 The location of this hotel is fabulous which is perfect for travelers. 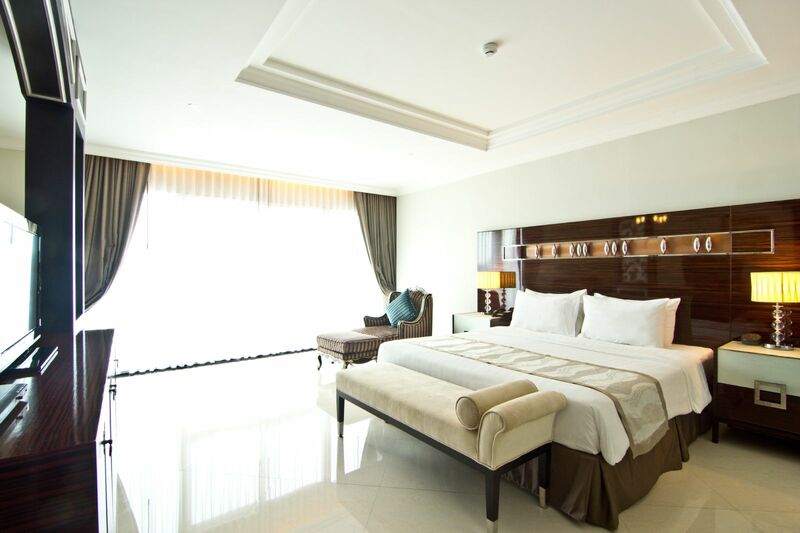 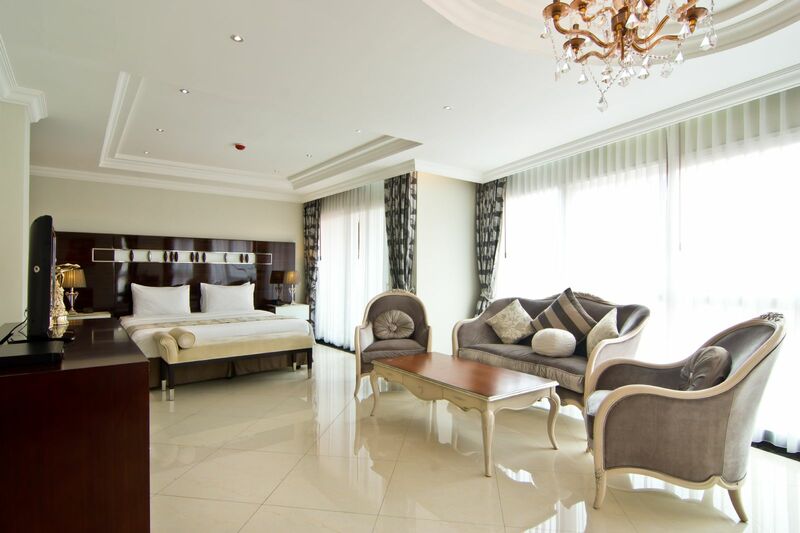 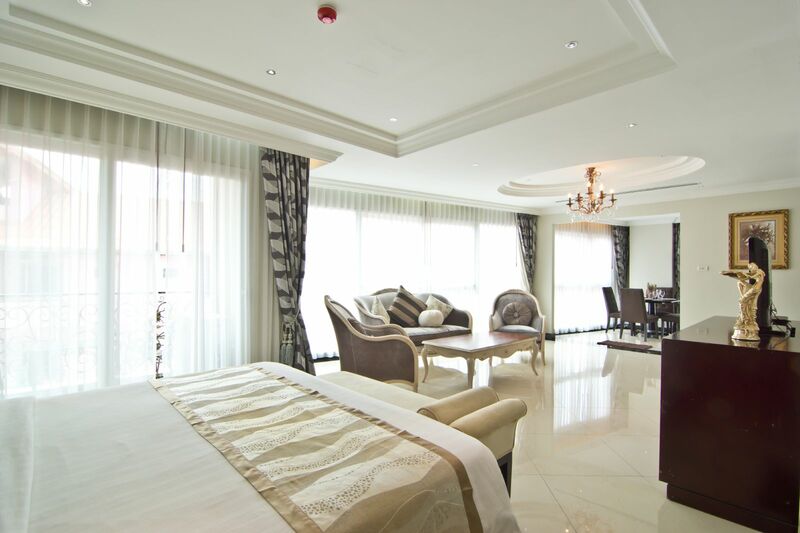 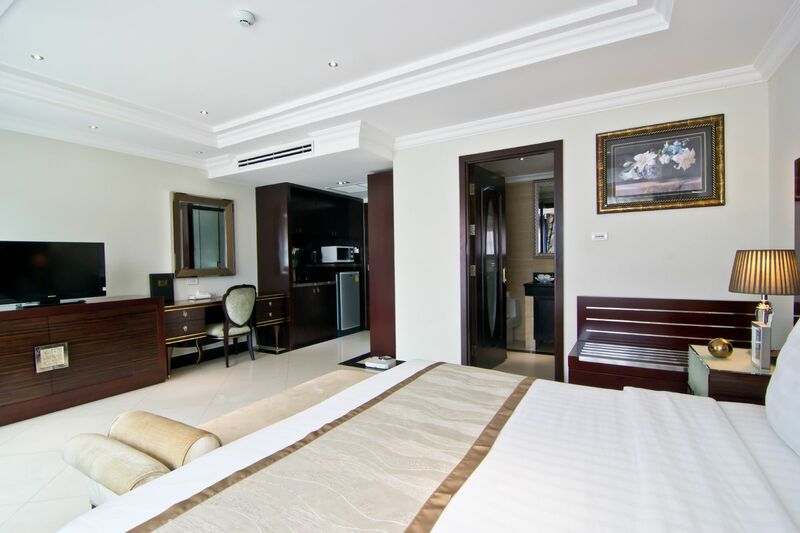 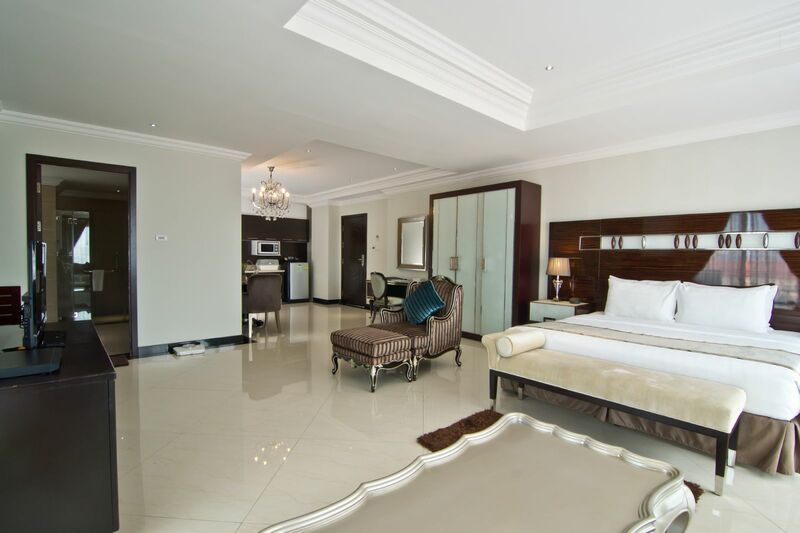 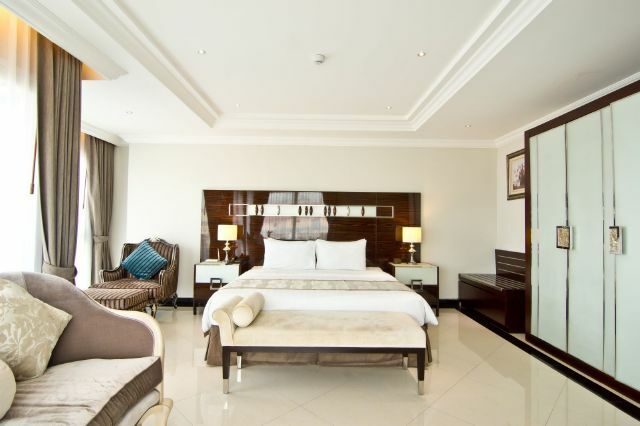 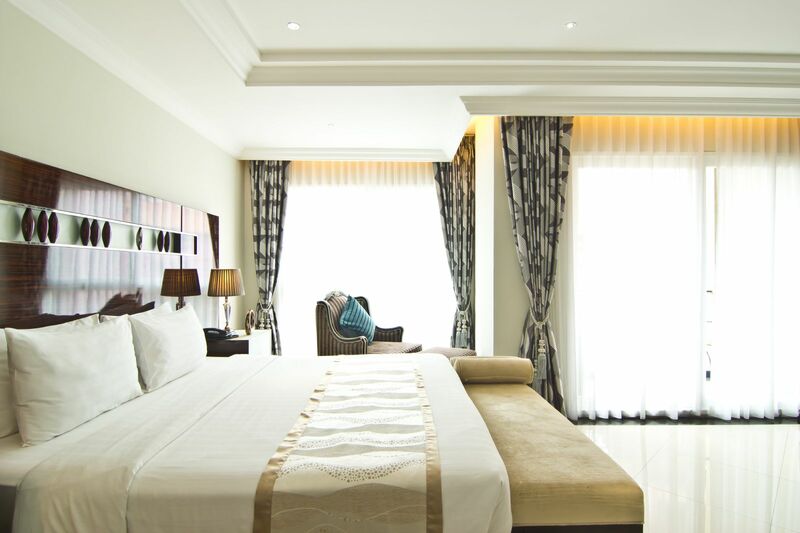 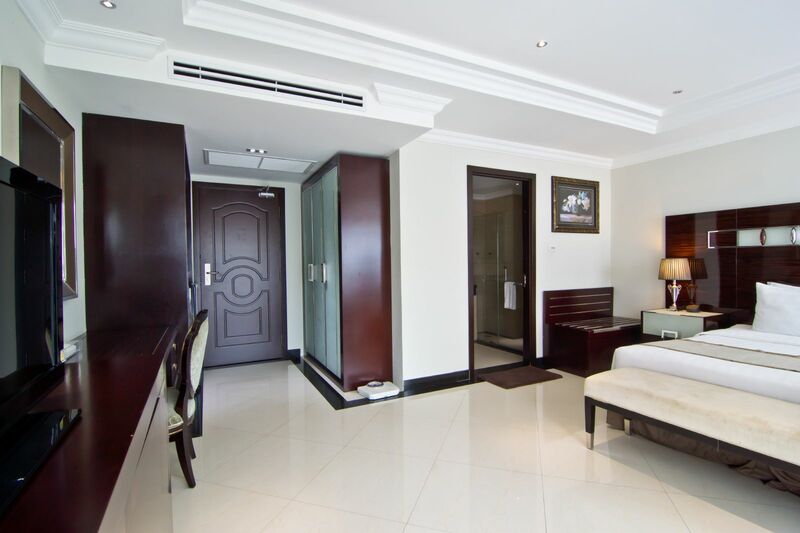 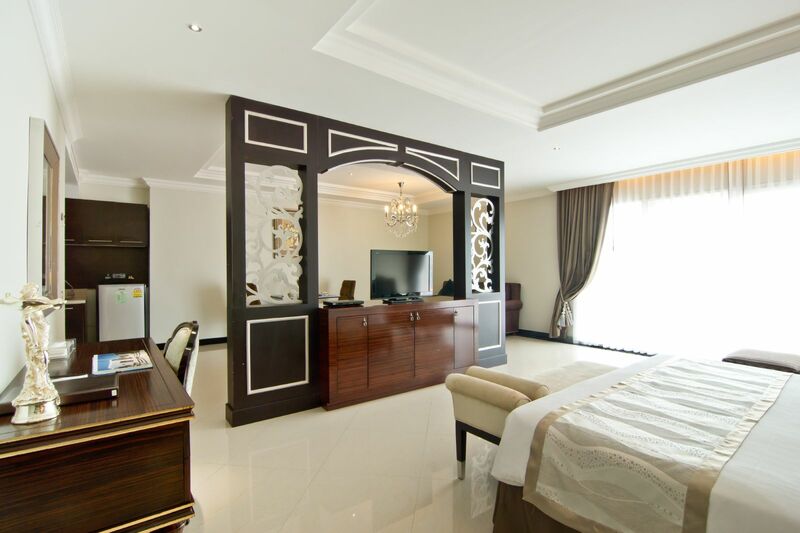 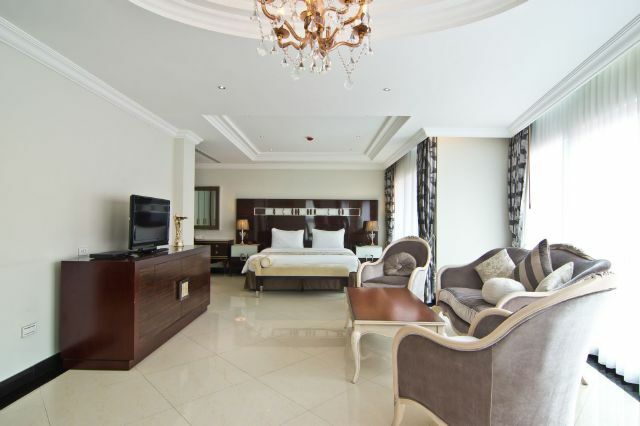 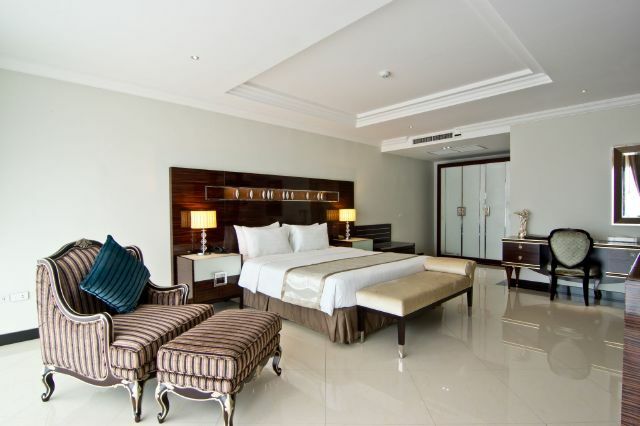 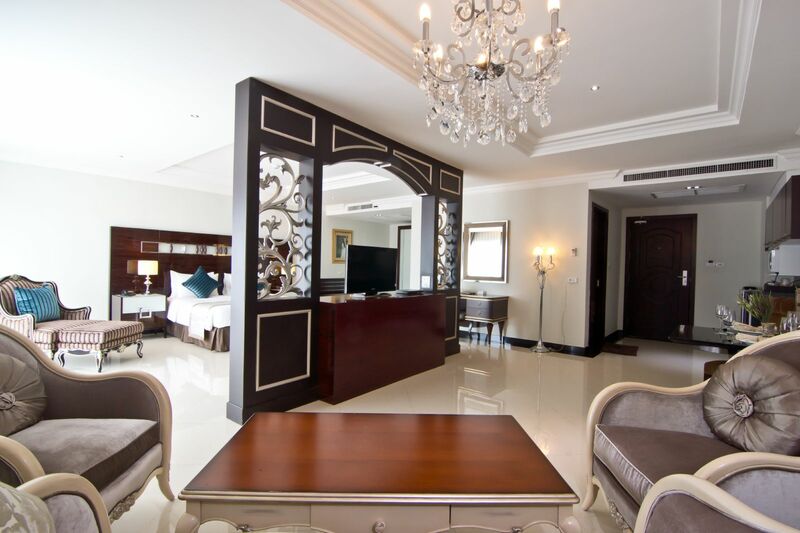 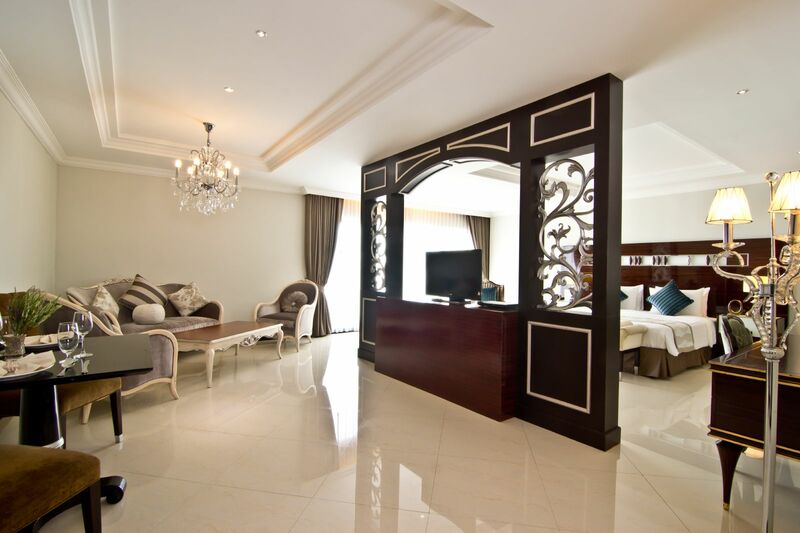 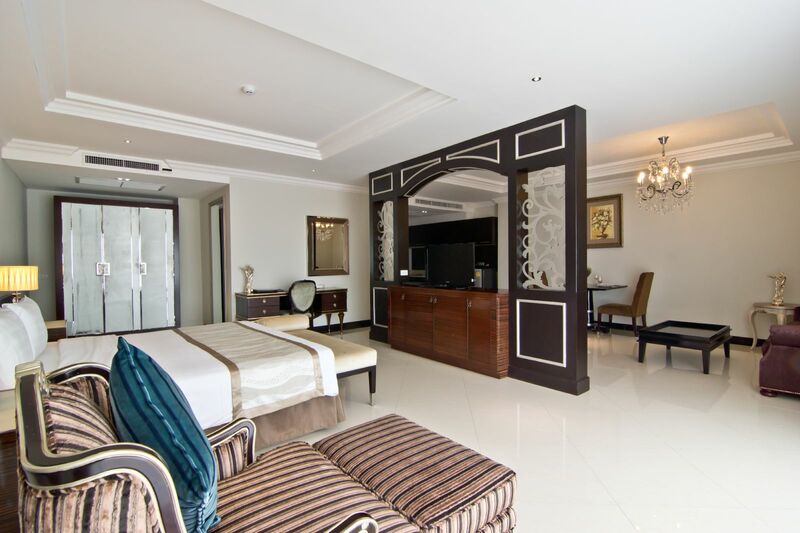 LK Royal Suite Pattaya is an admirable 4-star accommodation property located in Soi Buakhao. 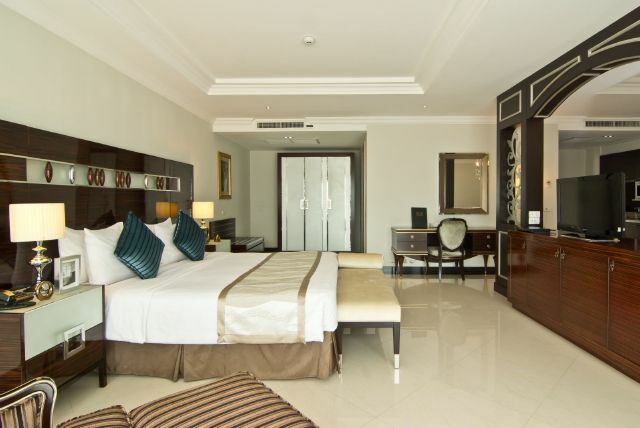 The hotel is known for offering warm hospitality and commendable amenities to its guests. It is considered as an ideal lodging choice for couples, families as well as business travelers who are looking for luxurious stay at an affordable price. 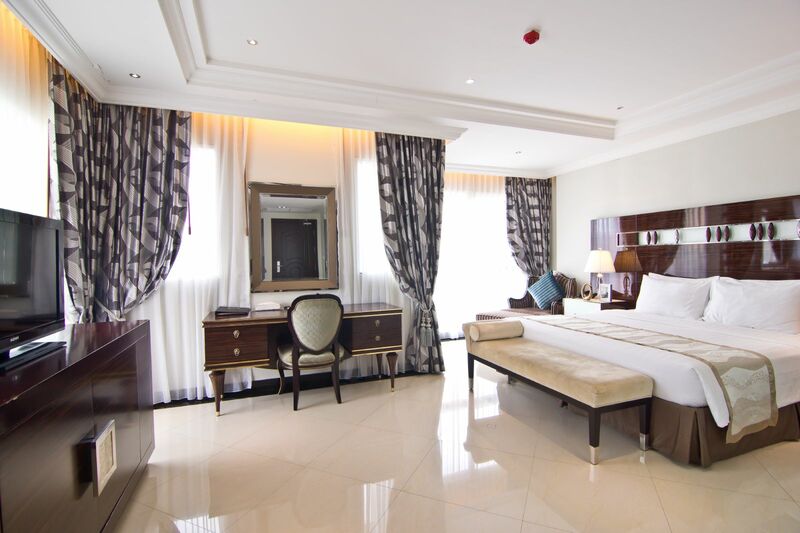 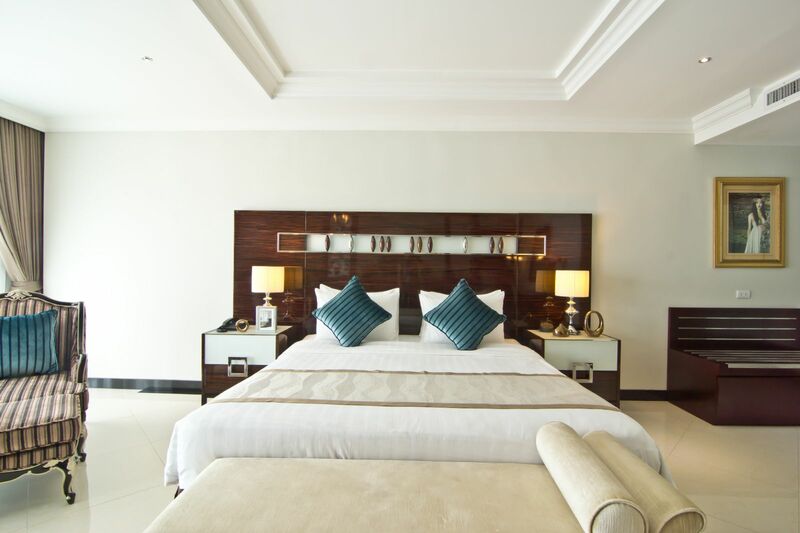 The hotel is famed for its modern decors and classic interiors as well.Further, it assists tourists with tour related queries and arranges business conferences on request. 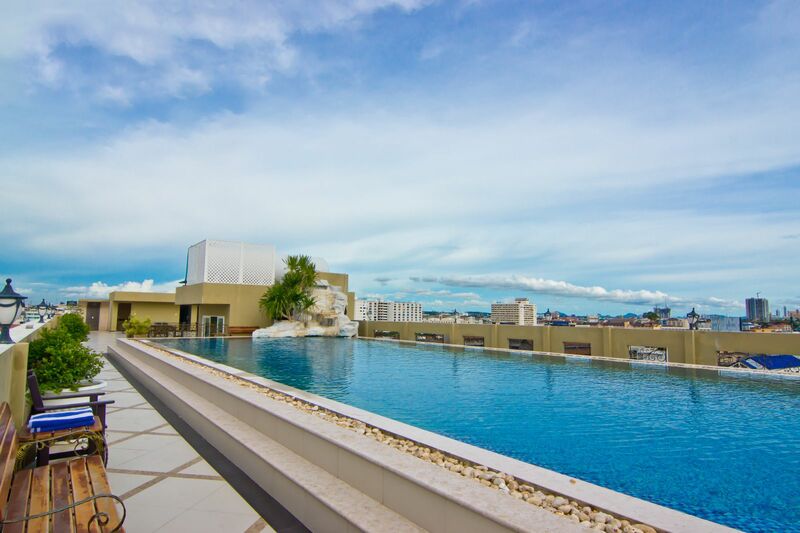 It features an outdoor swimming pool, fitness centre and sauna room for guests leisure. 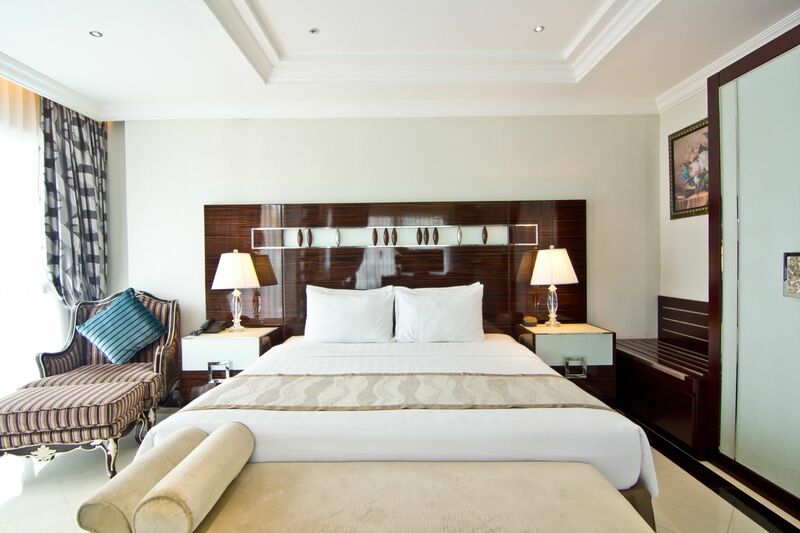 For those who wish to savour a unique combination between luxury and tasteful services, the hotel promises a memorable experience to be cherished throughout life. Its close proximity to the airport, Walking Street Pattaya and Hard Rock Cafe add charm to the acclaimed popularity of the hotel. 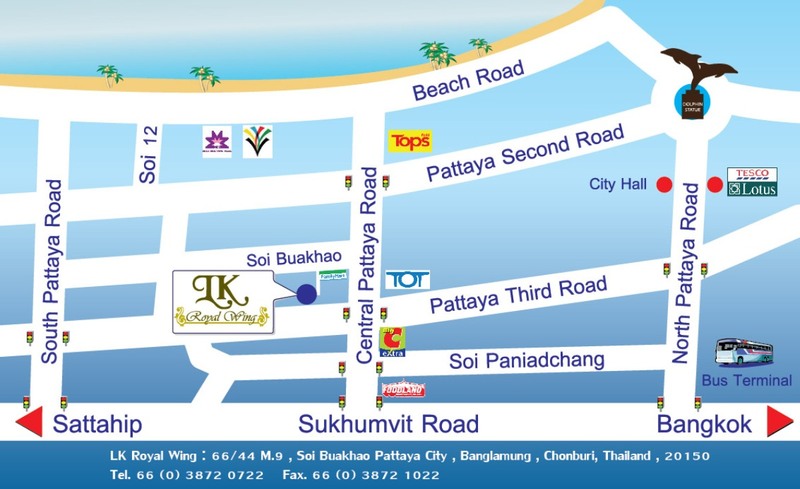 The Utapao International Airport is just 30 Km from LK Royal Suite Pattaya. 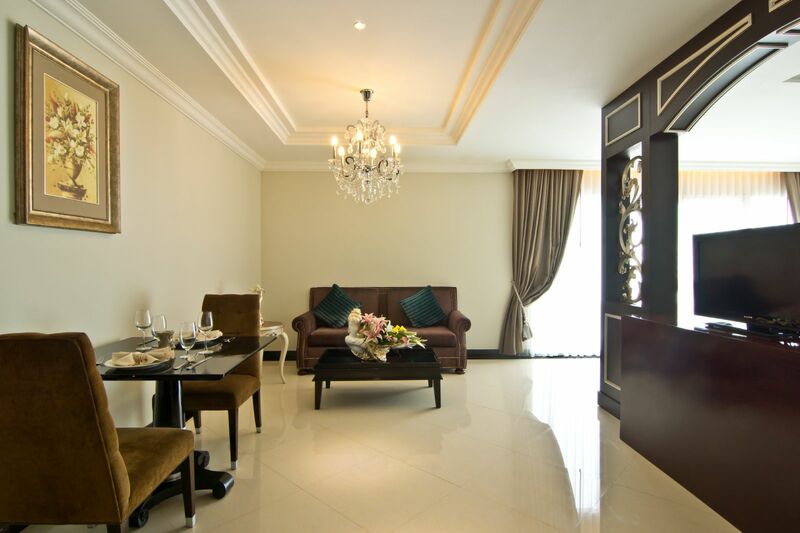 Hotels restaurant serves lip-smacking local and global cuisines. 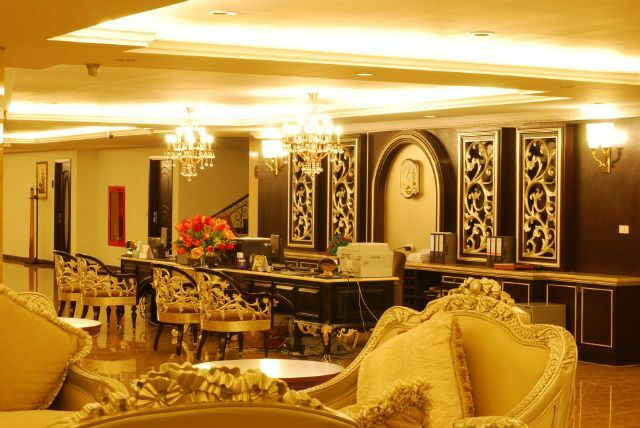 On-site coffee shop offers hot and cold coffees with desserts. 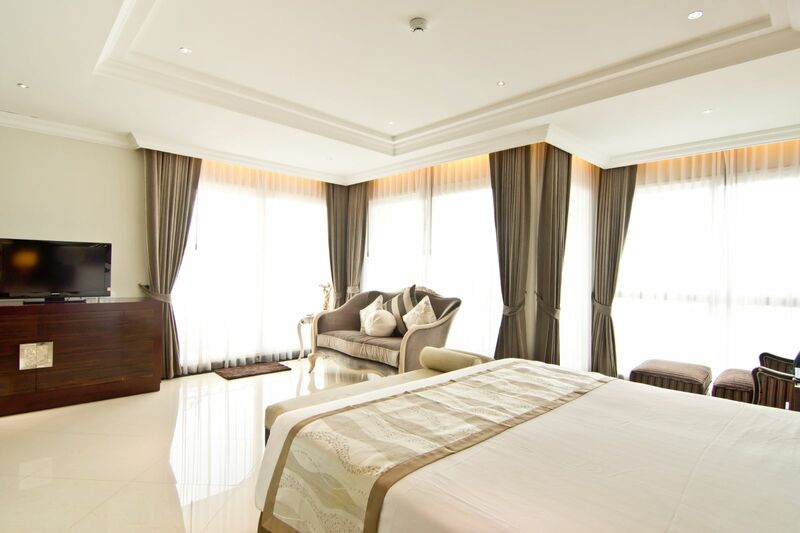 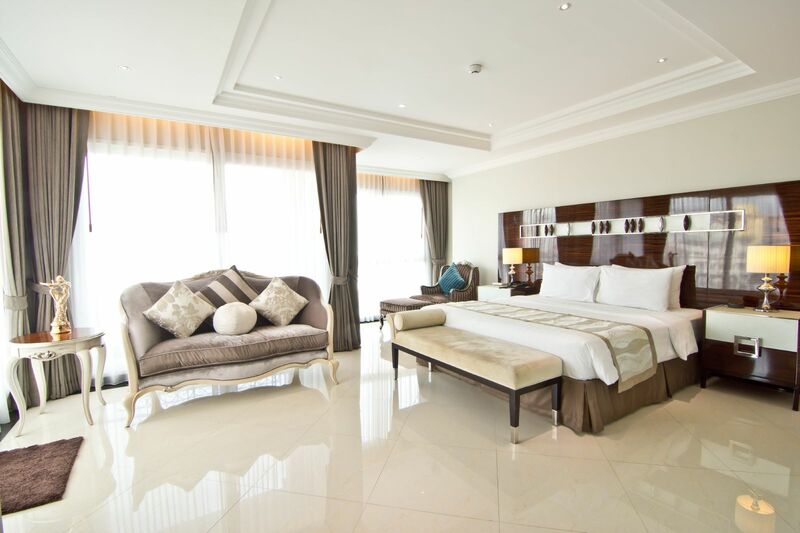 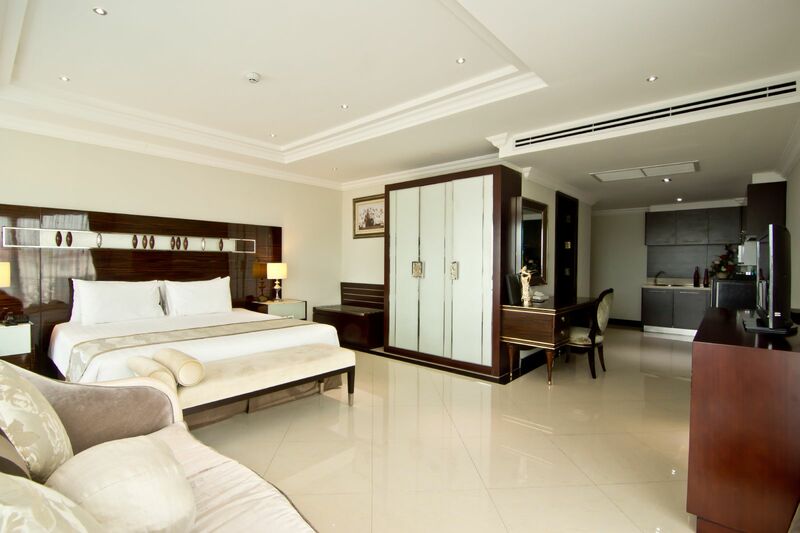 LK Royal Suite Pattaya maintains spacious accommodation units that are excellently equipped with modern amenities.The rooms are categorised into various categories such as studio, superior, deluxe and suite. 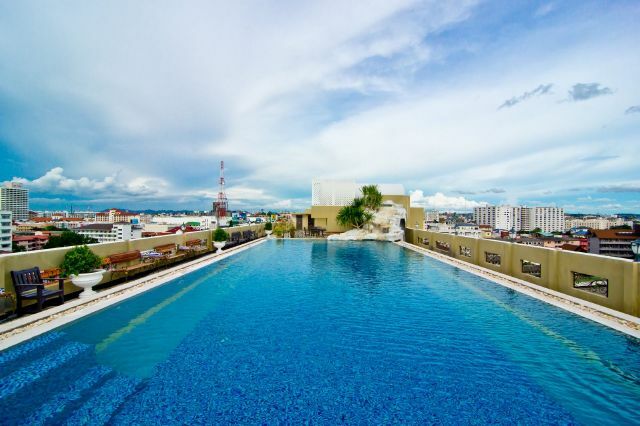 Each room of this modern hotel features a balcony that offers mesmerising pool and ocean views. 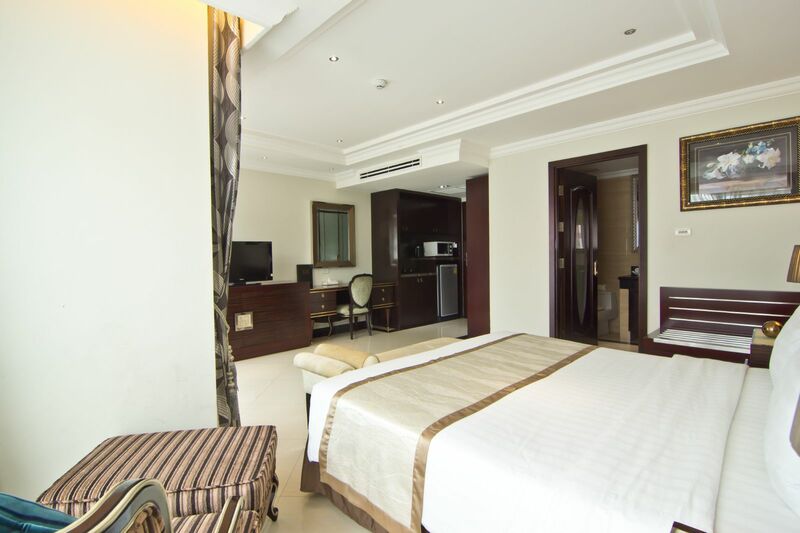 All the rooms are elegantly laid out and come with Wi-Fi access, mini bars, refrigerators and television sets. 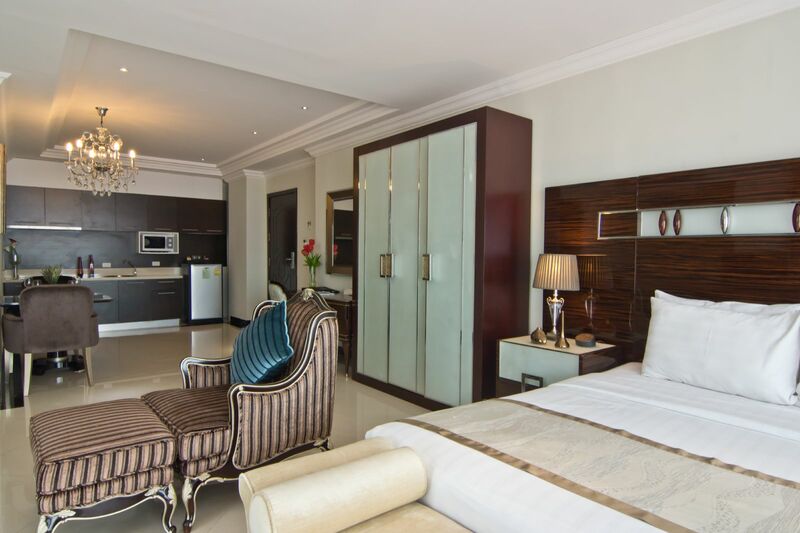 The suites of the hotel feature the luxury of outdoor Jacuzzi with a tropical garden, living areas, and well-equipped kitchens. 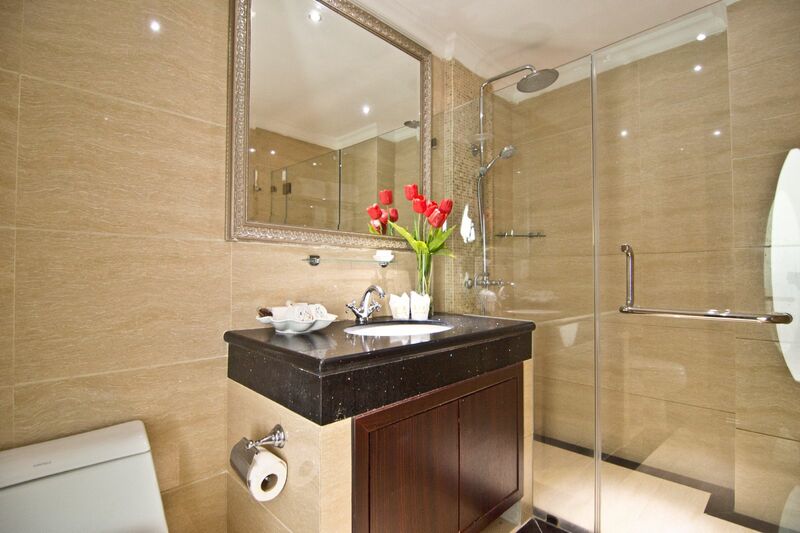 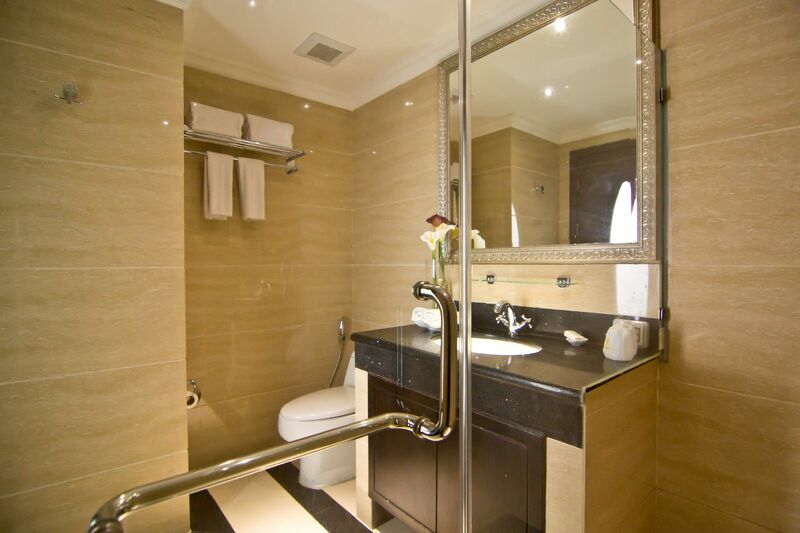 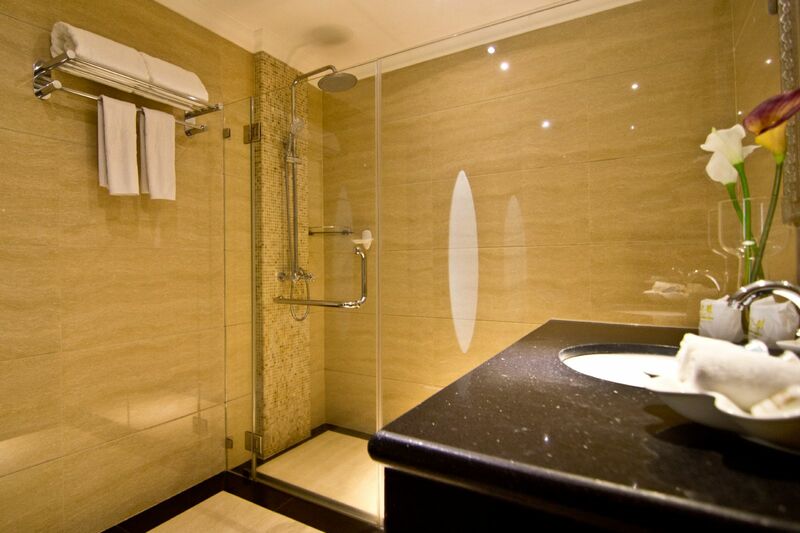 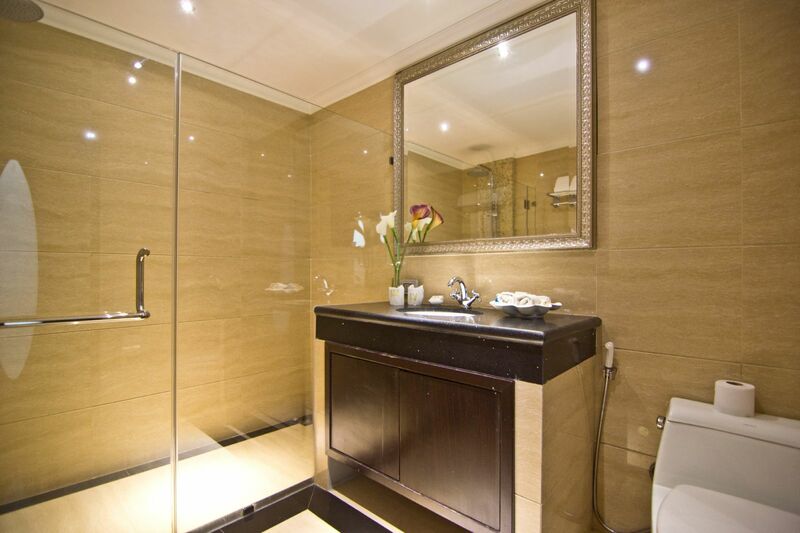 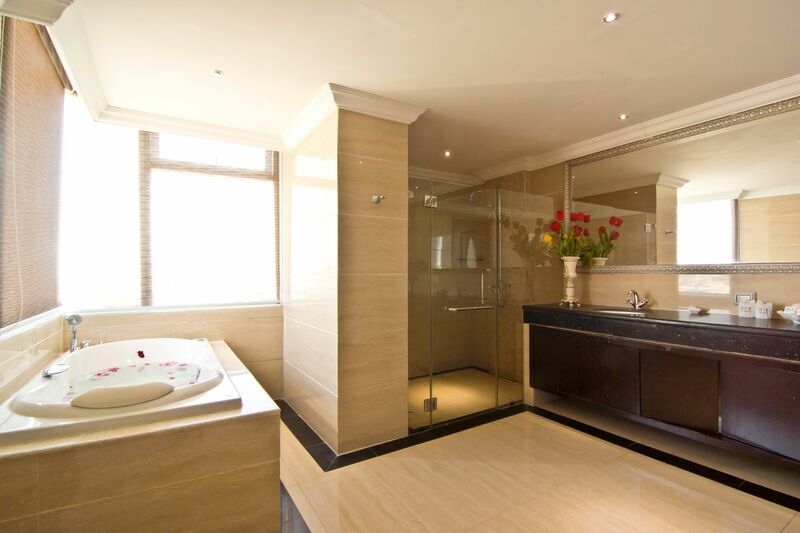 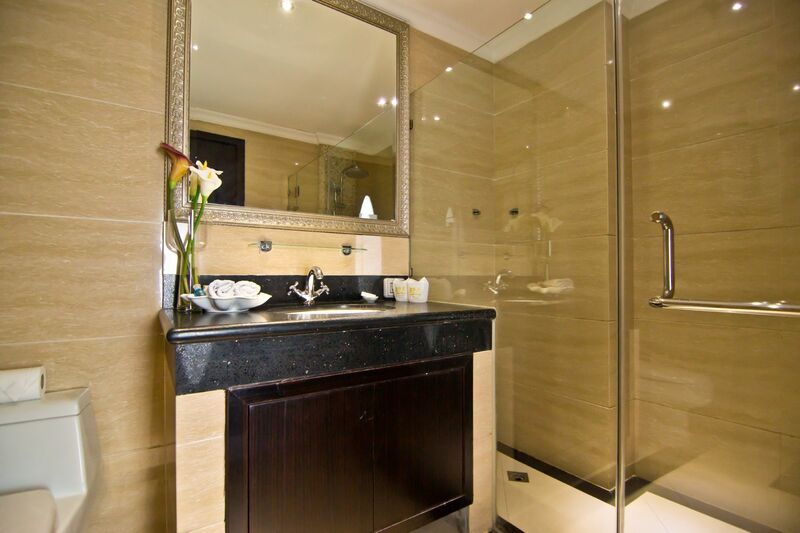 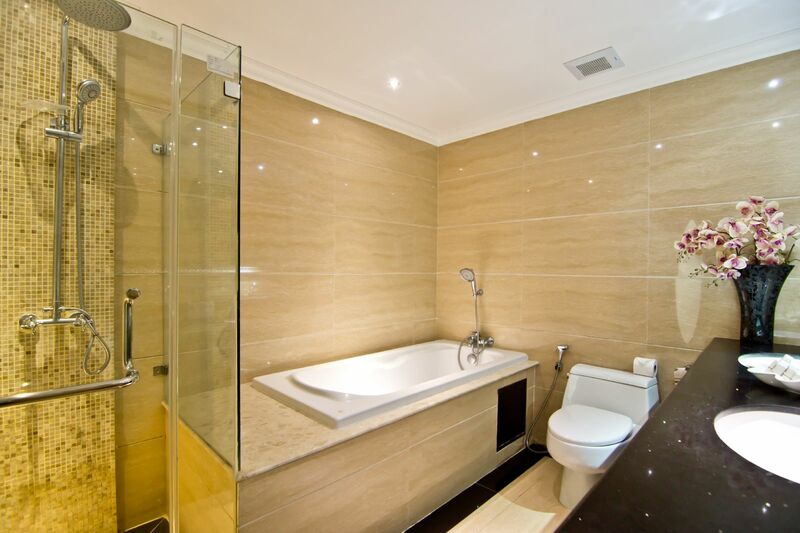 Further, attached bathrooms come with with geyser and basic toiletries. 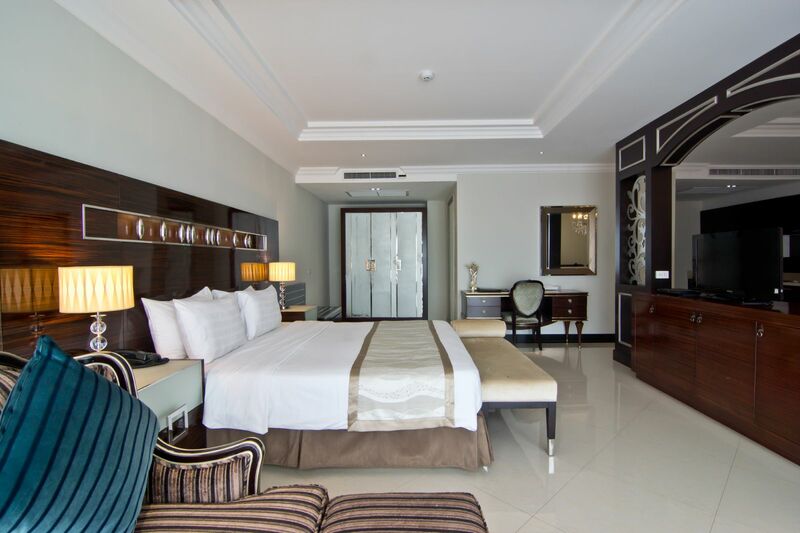 To facilitate comfort to guests, some of the additional services, include 24-hour room service, housekeeping, laundry and dry cleaning. 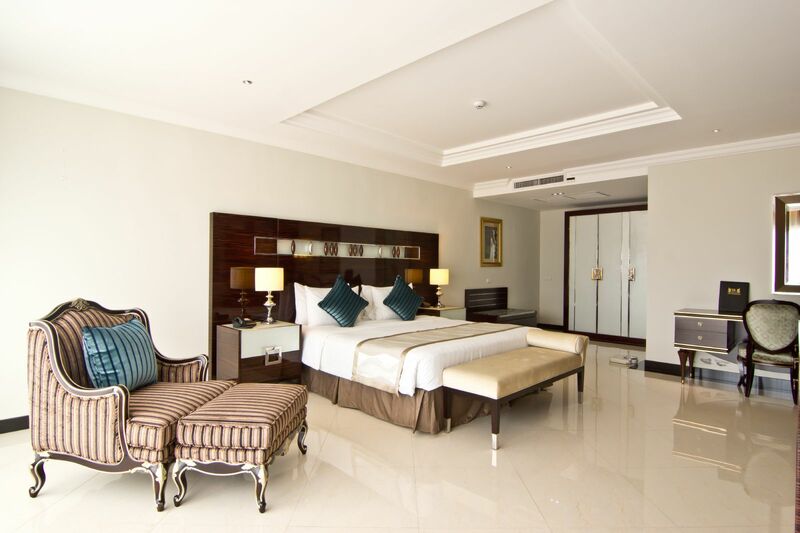 LK Royal Suite Pattaya boasts of a number of modern services and world-class amenities that assures a restful and memorable stay to guests. 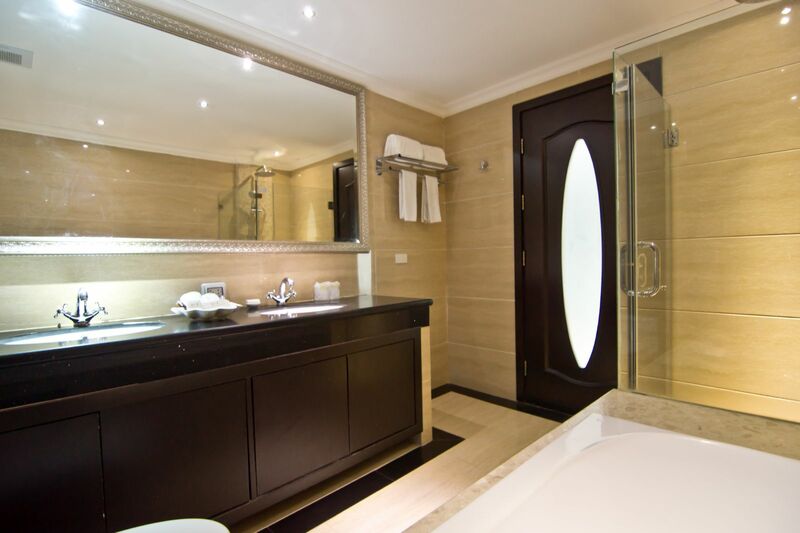 Guests can enjoy bath in swimming pool or head to the fitness center for some work-out. The hotel features a beautiful terrace, which offers splendid views of sunset and city. 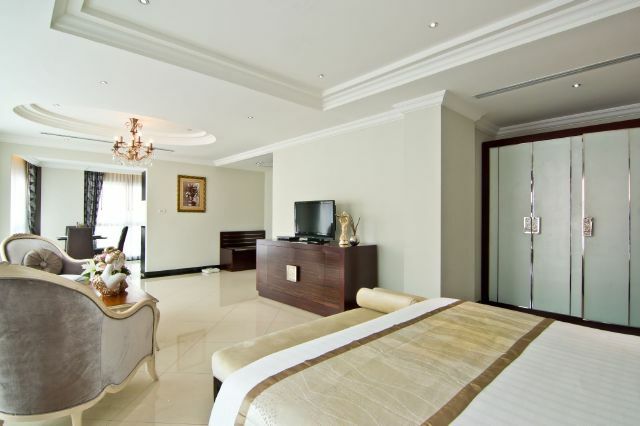 In addition, the property maintains a decorated terrace garden where one can go for morning and evening walk. 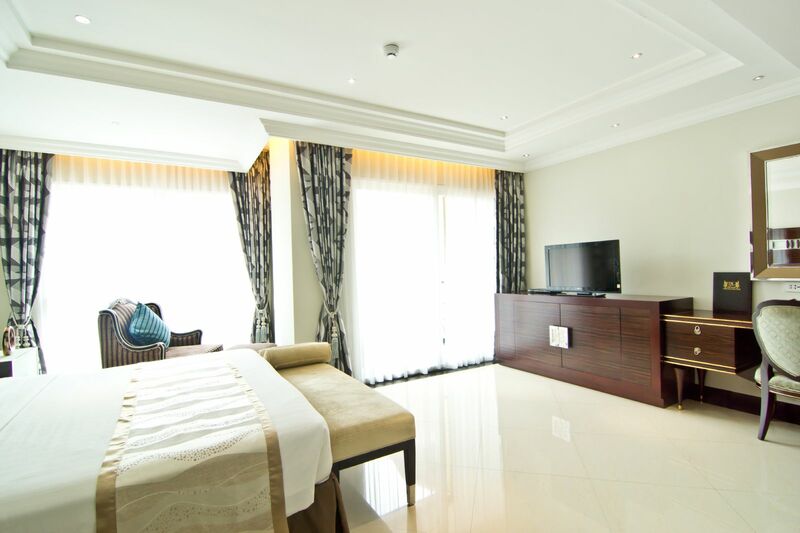 Further, guests can avail service of free car parking. 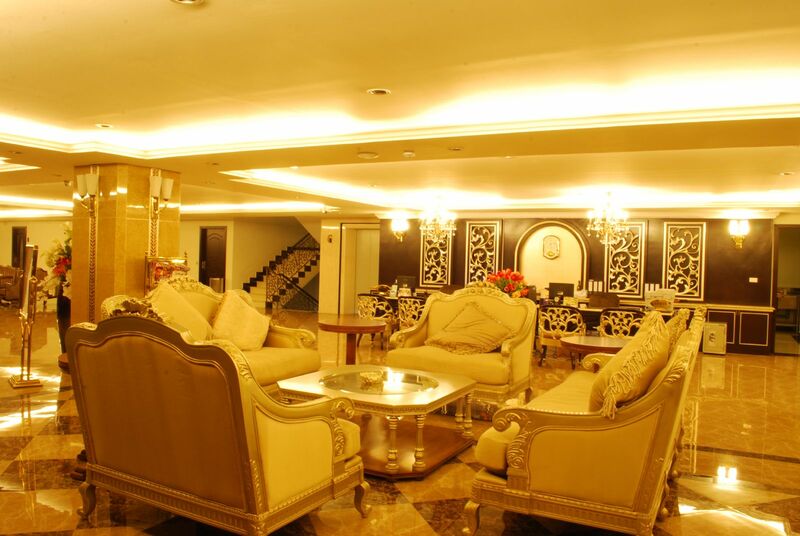 Moreovers, the hotel arranges business conferences and seminars for guests. The hotel provides a plethora of services including complimentary Wifi, CCTV system, day-time receptionist and security service. 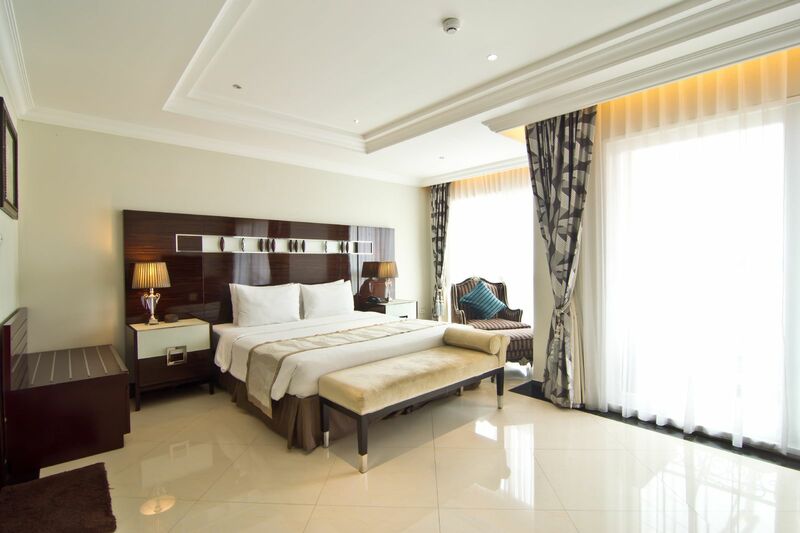 A few of other services that are provided to guests on an additional charge include airport shuttle and laundry services. 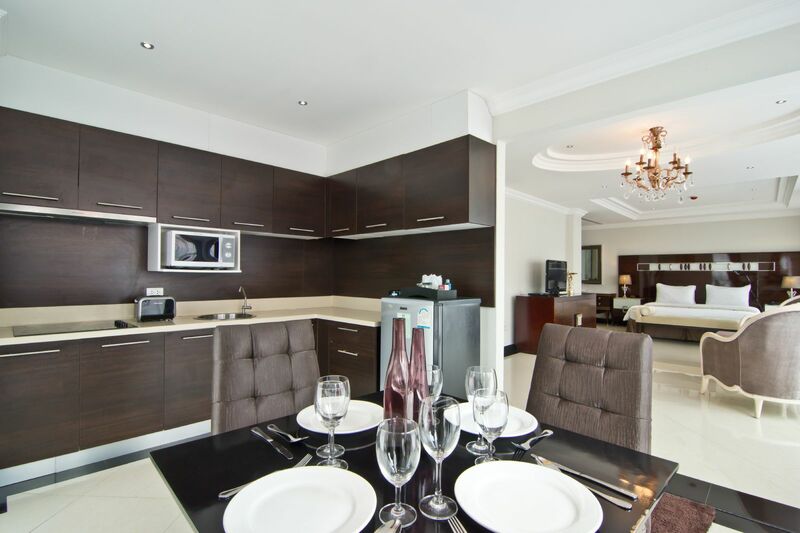 As Pattaya is famed for its eateries and bars, LK Royal Suite Pattaya features an in-house restaurant, named Le Kitchen Restaurant. 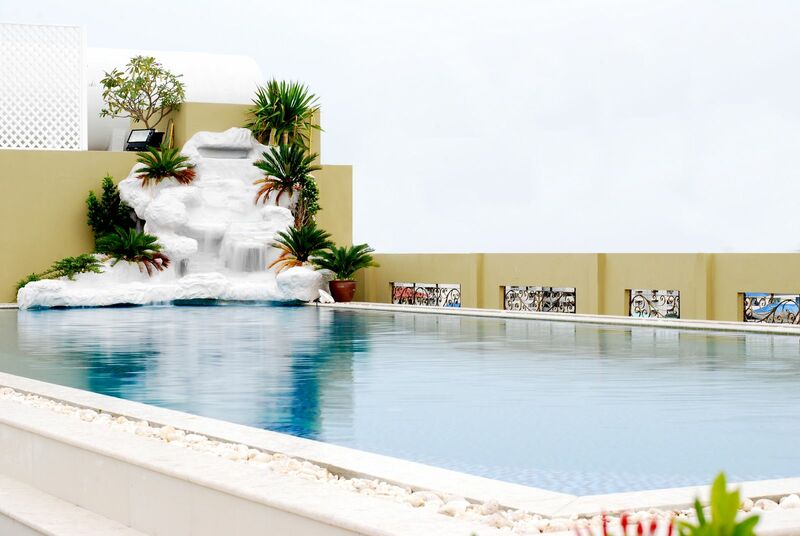 Offering beautiful pool views, Le' Kitchen serves a daily American breakfast to the guests. 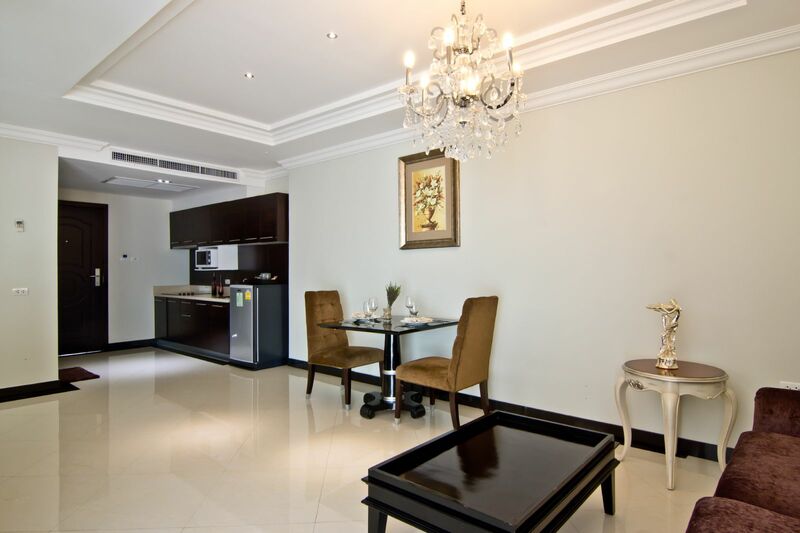 At the restaurant, guests can also enjoy a variety of cuisines, including Thai and western that are served for lunch and dinner. 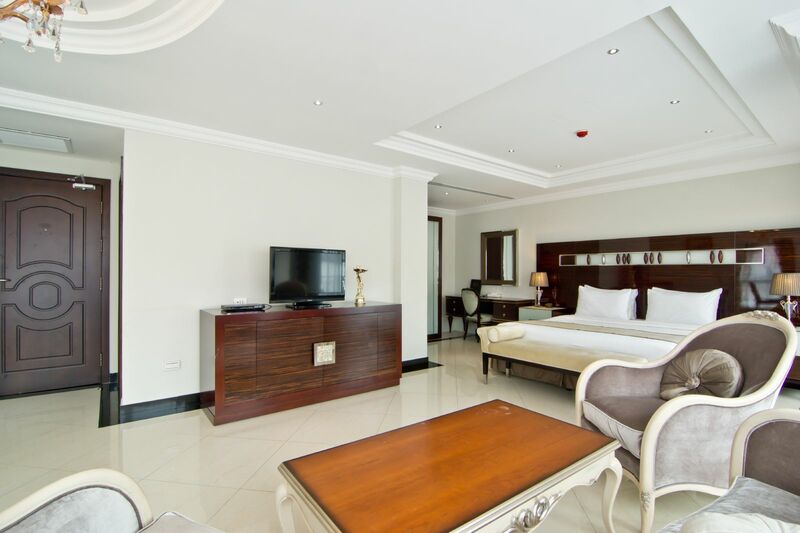 Notably, the central location of the hotel allows its guests to explore the prominent dining outlets and striking pub and bars of the city. 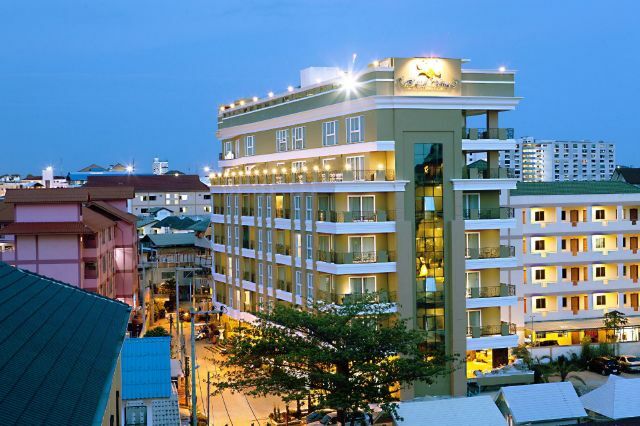 Some of the must-try restaurants near the hotel include Acropolis Greek Restaurant, Smokin' Joe's BBQ and M.C. Burger. 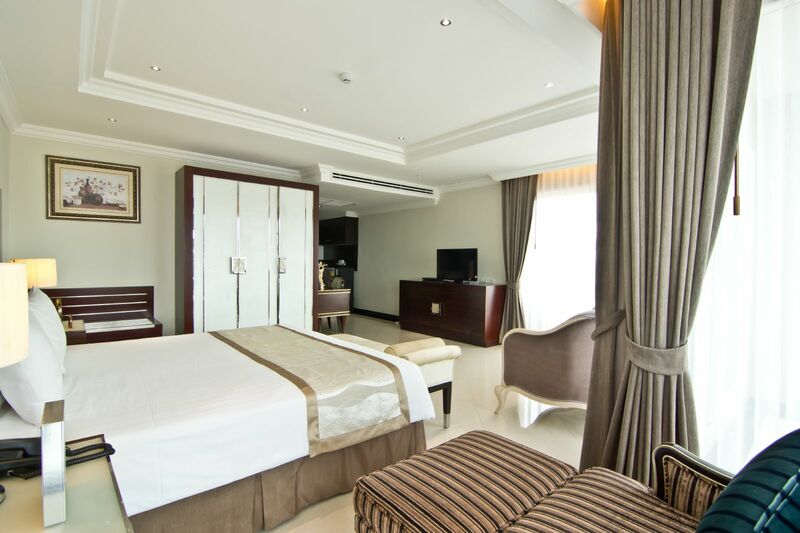 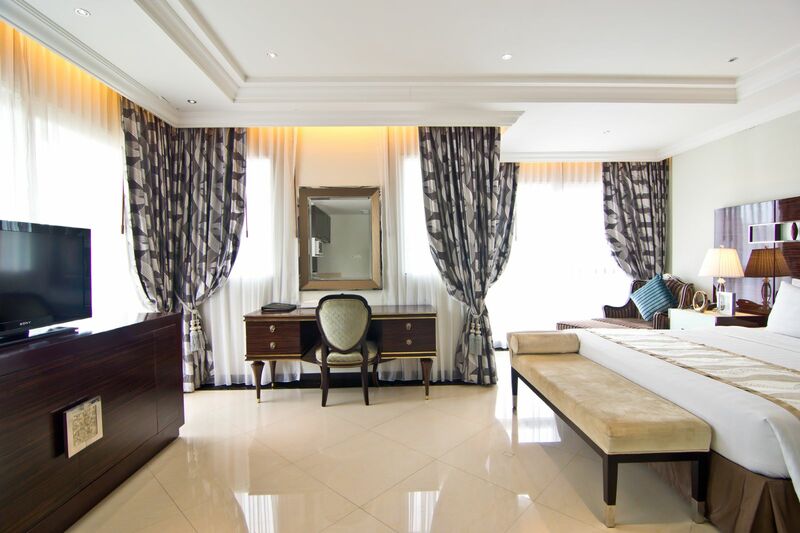 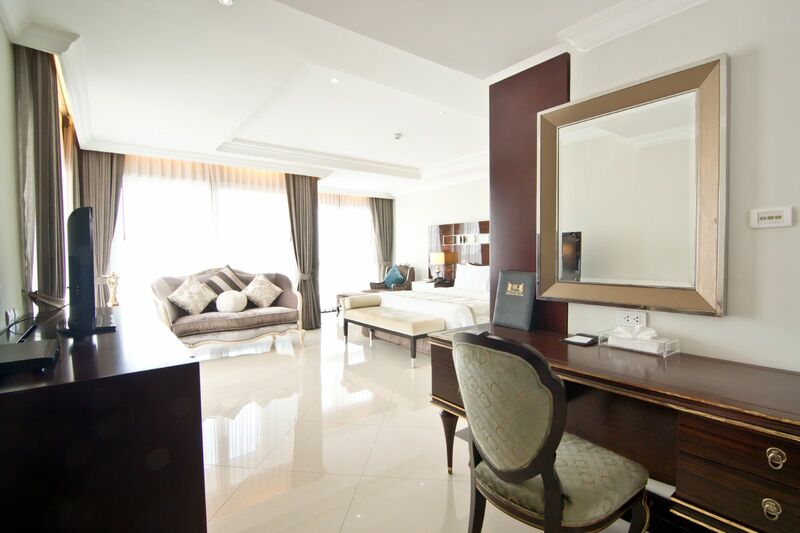 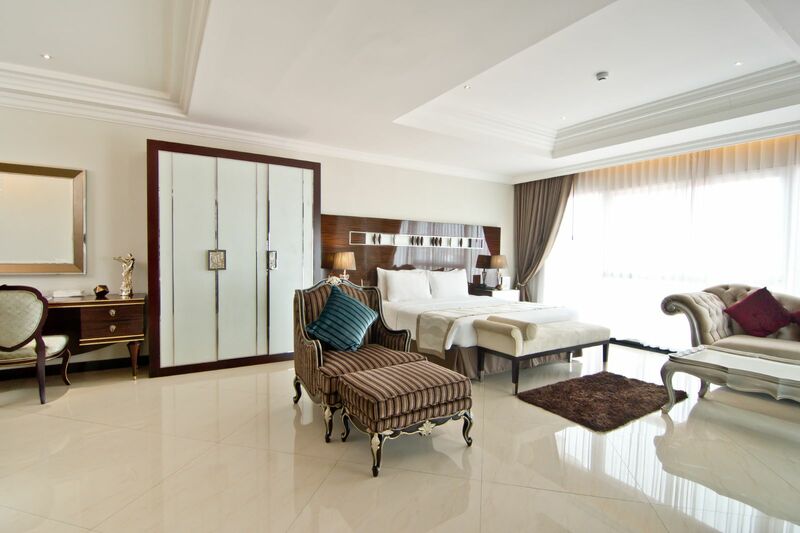 LK Royal Suite Pattaya offers warm hospitality and modern facilities to ensure a memorable stay to its guests. 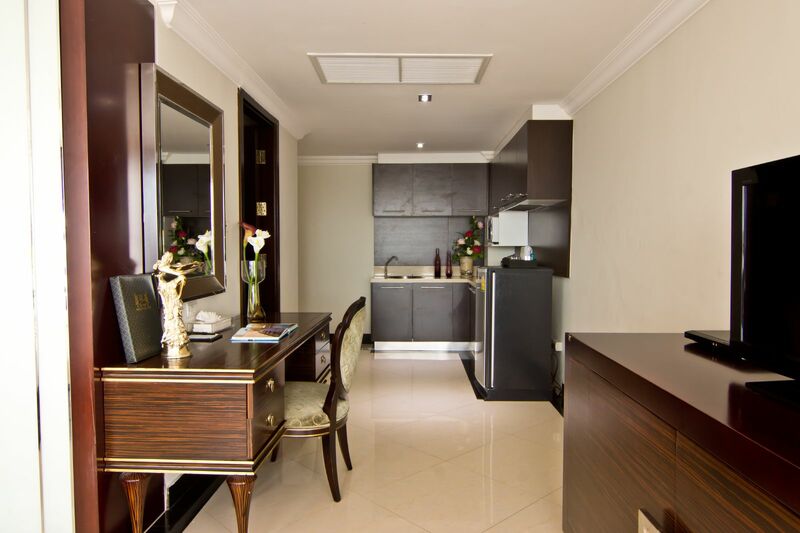 Staffs work 24X7 to make its guests feel comfortable at the property. 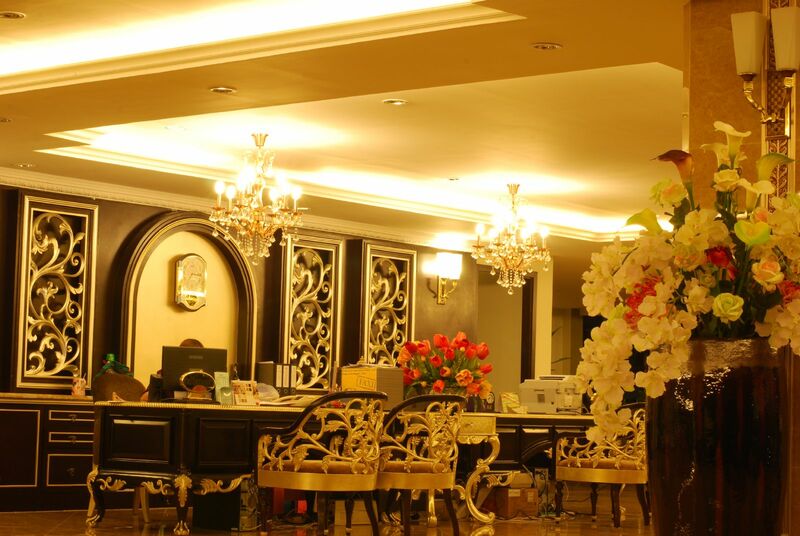 During their stay in the hotel, visitors can explore the beautiful beaches and lively marketplaces to have a great time. 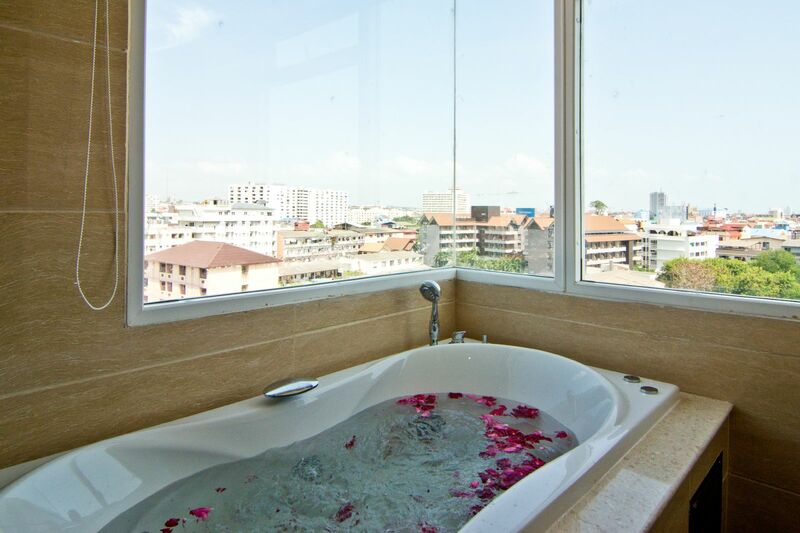 Does the hotel have a spa? 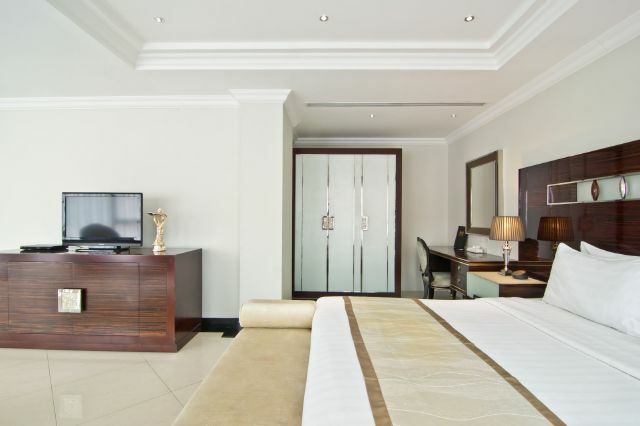 Does the hotel offer the facility of on-site ATM? 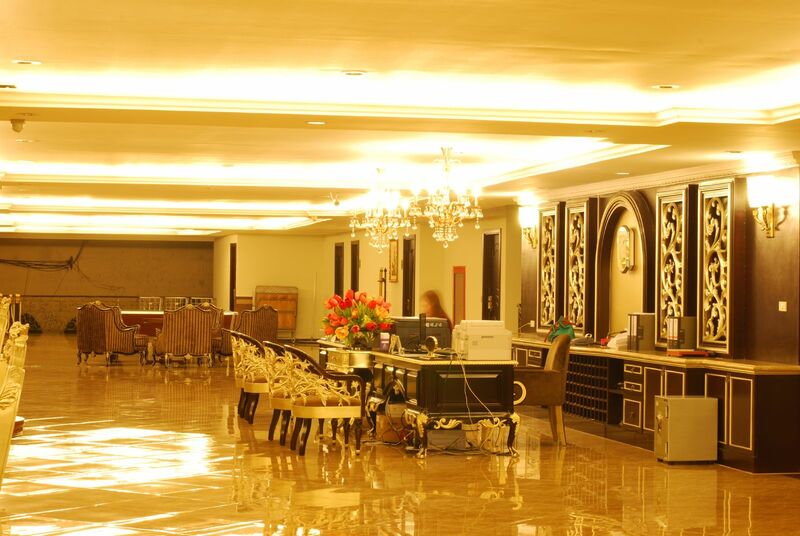 Yes, the hotel features an ATM for guests convenience. 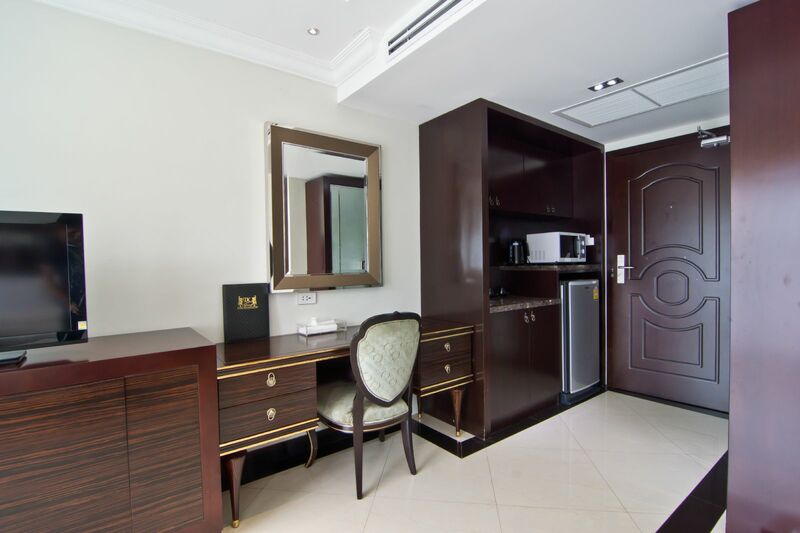 Is there a business centre at the hotel? 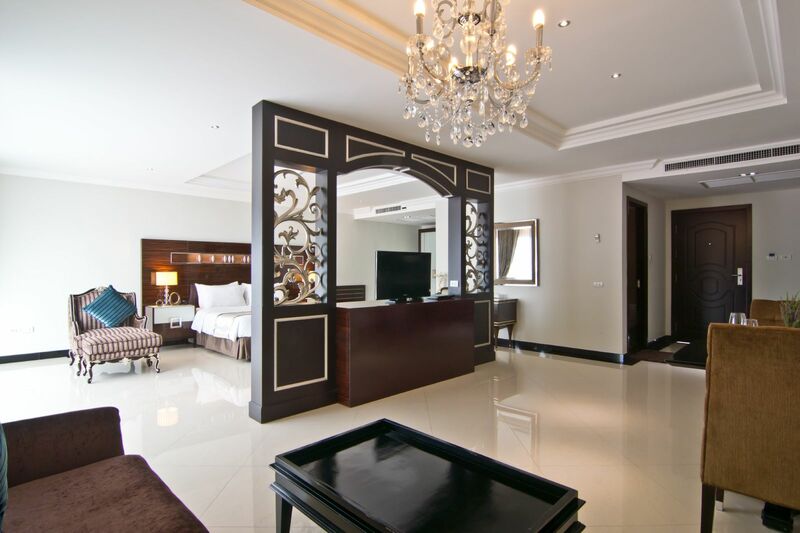 Does the hotel provide free Wi-Fi facility? 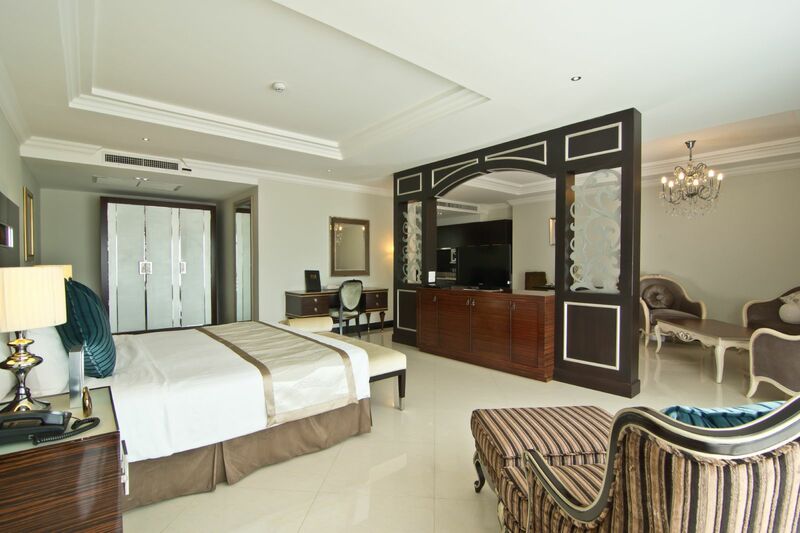 Yes, LK Royal Suite Pattaya provides free Wi-Fi. 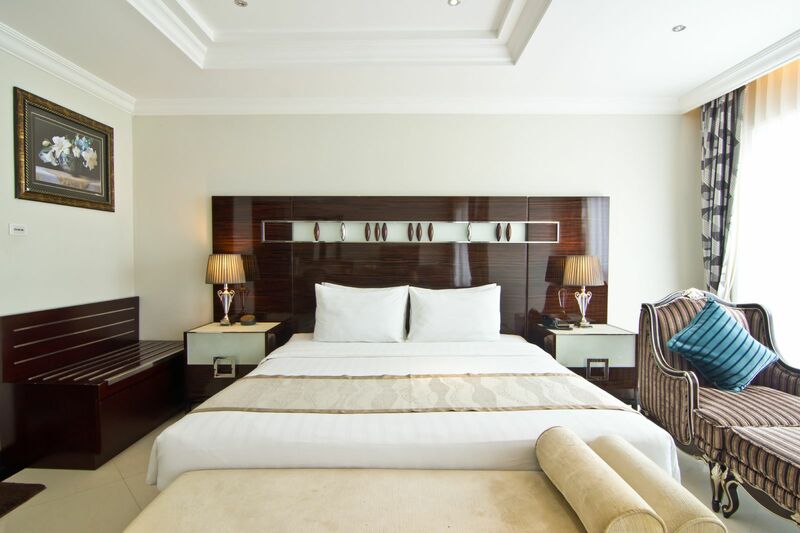 Can guests avail room service? 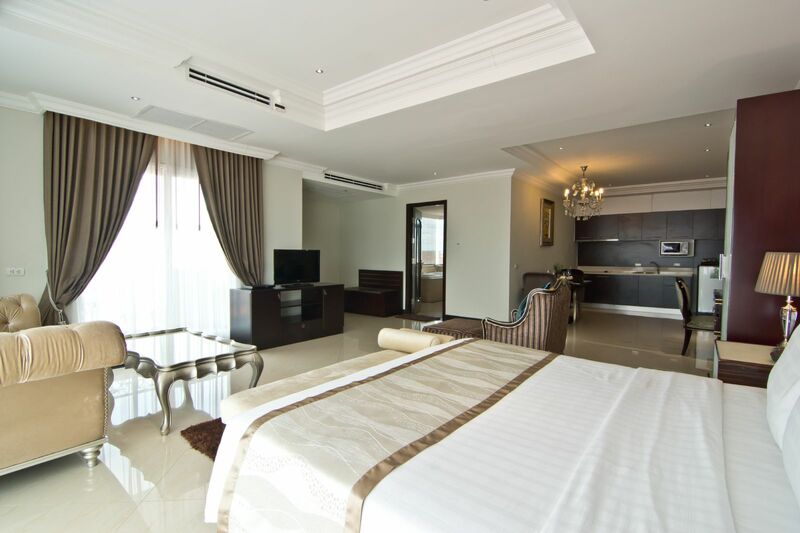 Yes, guests can avail room service at LK Royal Suite Pattaya. 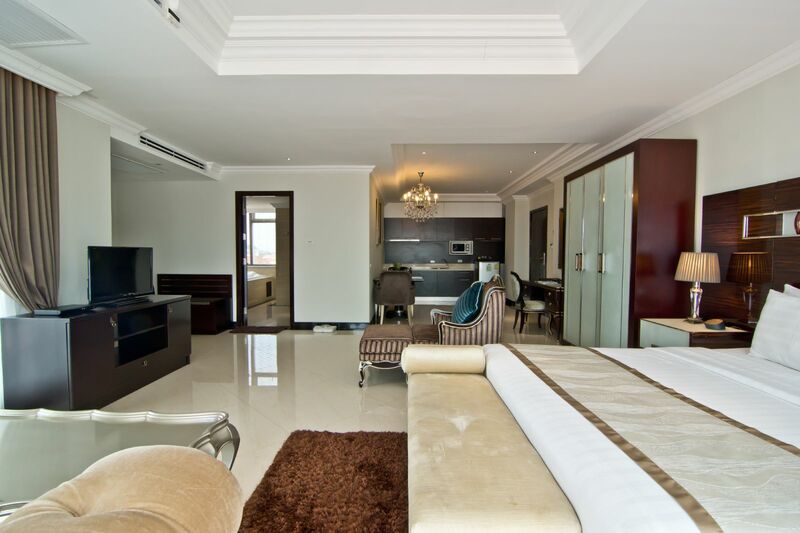 Overlooking the glittering sea, LK Royal Suite Pattaya is an ideal accommodation for all kinds of travelers. 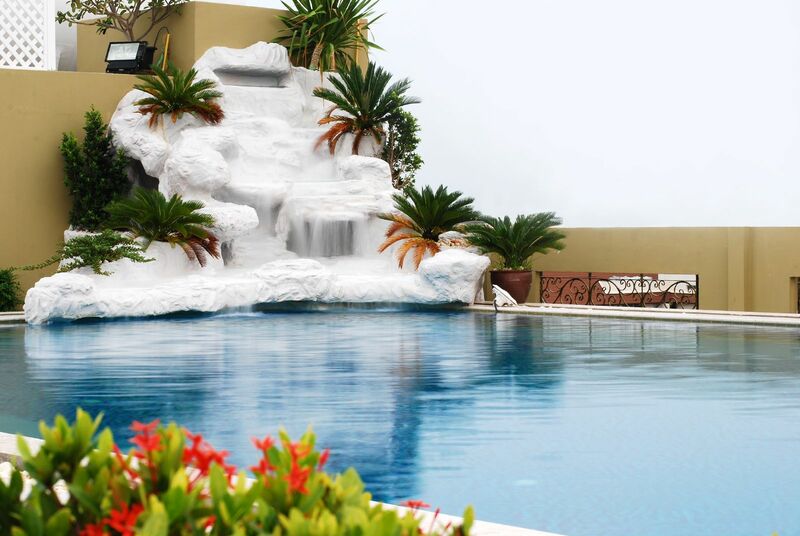 Featuring a dazzling swimming pool and a well-maintained fitness centre, the guests are offered endless ways to unwind. 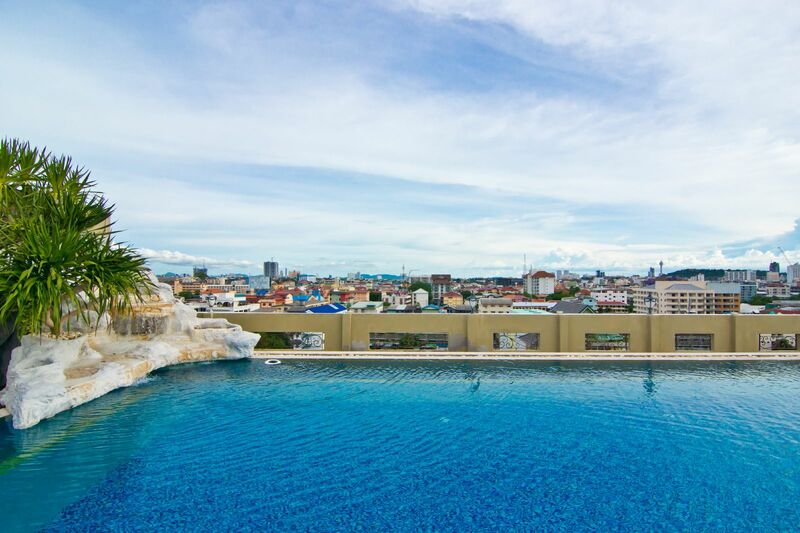 Shopaholics can explore the vibrant Soi Buakhao Market, which is among the busiest and most popular local markets in Pattaya. 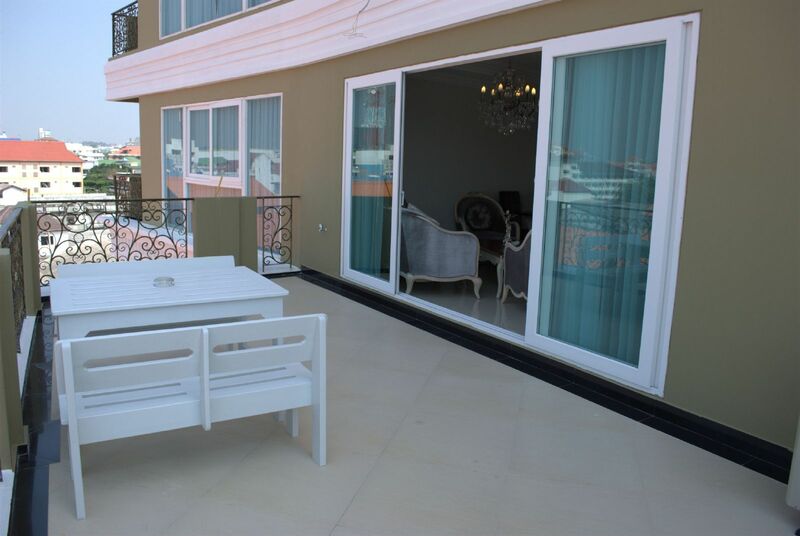 The rooms are equipped with a balcony and well-furnished bathrooms. 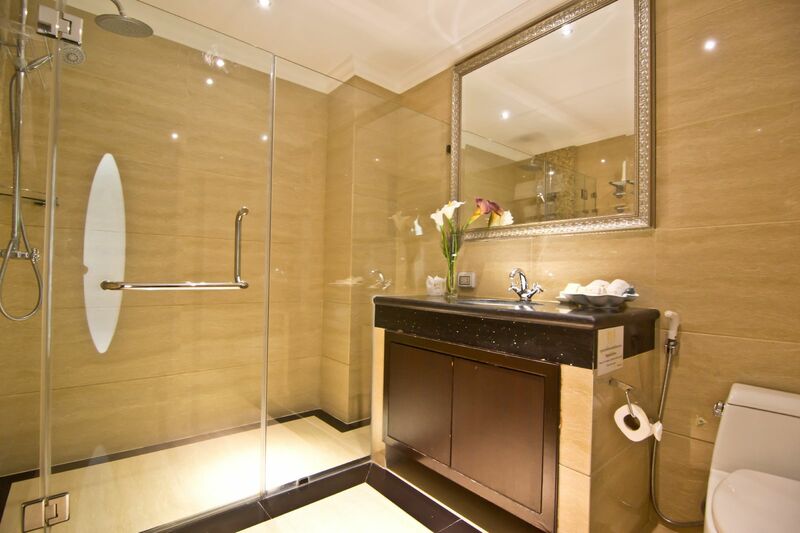 For the comfort of the guests, laundry and housekeeping facilities are also provided. 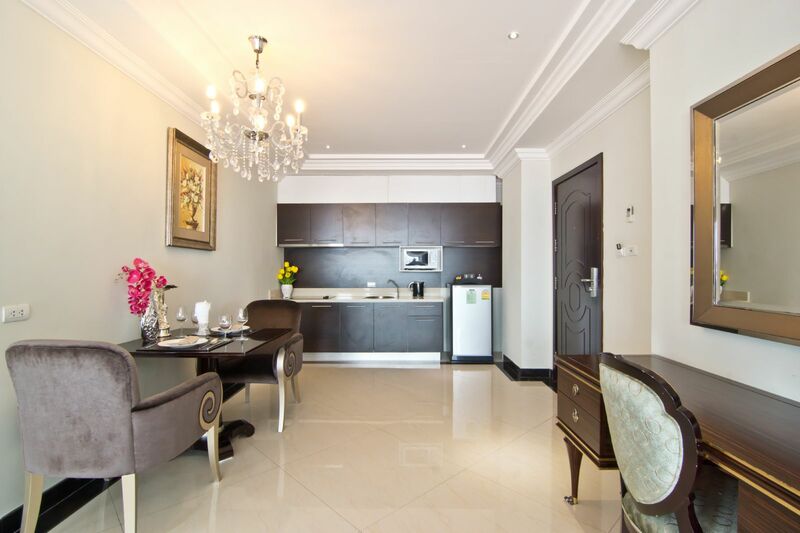 In addition, the local dining outlets are situated within a 5-minute walk from the hotel. 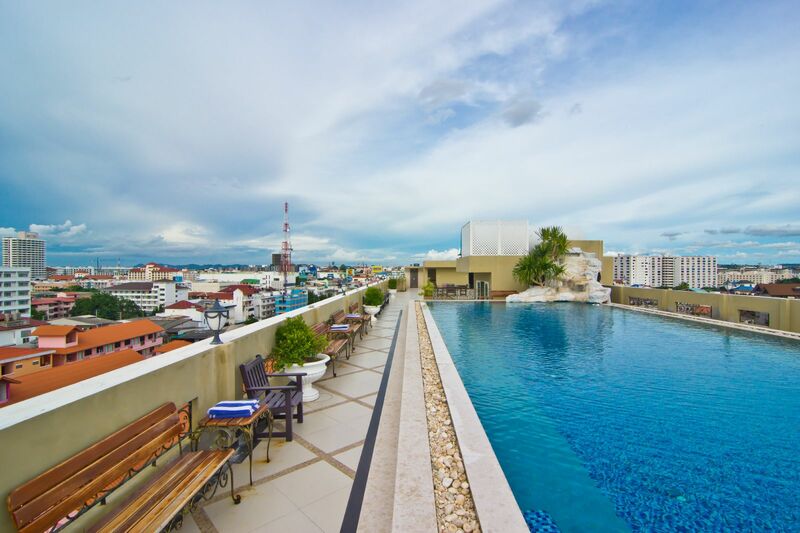 Foodies can explore nearby eateries to taste the authentic Thai cuisines prepared with fresh ingredients and flavorsome spices. Those who are keen to experience a wonderful stay with a range of modern facilities shall book a stay at this 4-star hotel.